The purpose of this blog post is to show the progress on our project. First of all, as we have said in the 2nd blog post our main goal has shifted. The original timetable was designed in a way that the final objective of the project is data visualization. 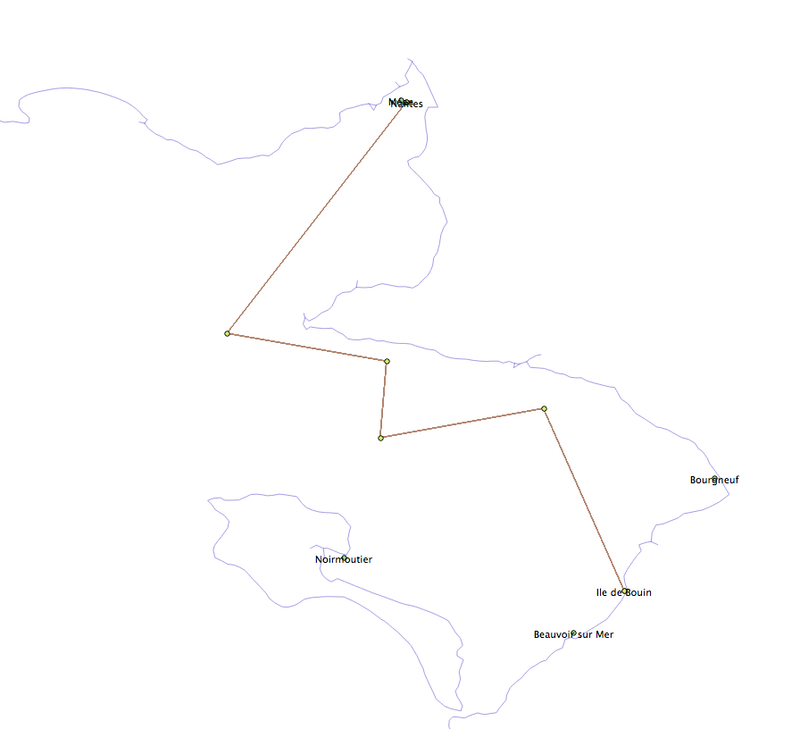 – Visualize the routes generated from the goal above. This is also a way to validate the algorithm proposed in the previous goal. Since our second report, we have focused our research towards generating maritime routes. We have already found some software that can create routes, but most of them are manual (e.g. we can use OpenSeaMap.org to manually create a route and the export it in KML format or other common used formats). We have also found some professional navigation devices made by Garmin or Magellan (e.g. Garmin eTrex Venture HC GPS Receiver), but they cannot be used for the purpose that we are interested in. – After the new point has been added, take this as the starting point and redo the algorithm until no more conflicts. – The list of resulting points will be the intermediary points for the maritime route. We have also done some experiments using GIS software. For example determine buffers to illustrate the distances to the shore. This was our first idea to draw semi automatically our pathlines. Here we visualise the distances between 2000m and 3000m to the shore, which corresponds more or less to the range of a 36-pounder long gun of the XVIIIth century (practical 1600m, max 3700m, see “Jean Boudriot et Hubert Berti, L’Artillerie de mer : marine française 1650-1850, Paris, éditions Ancre, 1992” for more details) . 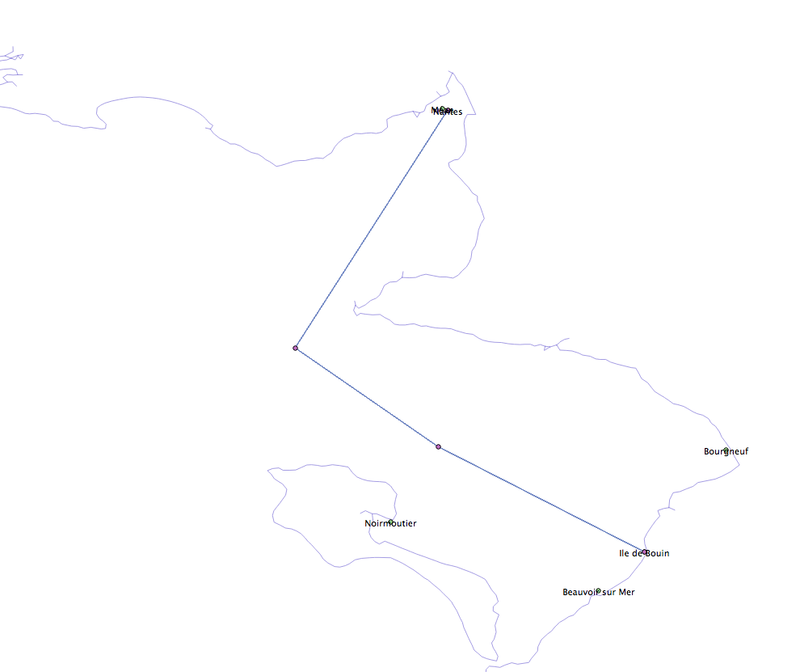 Using the openstreetmap data for the shore, we faced some problems like the non completion of the polylines, and to create multiple buffers, the number of polylines created per multiple users/contributors was so high that it was too expensive to compute buffers for each segment. The solution to this problem was to merge these segments and then draw only one buffer for the entire polyline. Maritine maps can be Nautical Charts, graphical / historical representations or “virtual” via the logbooks. 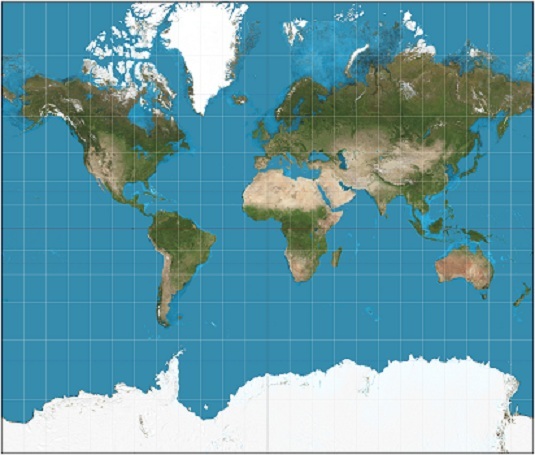 The projection of the maps is quite important because it makes the difference between a simple painting of the globe and a map with spatial references. Actually, the OpenSeaMap project is focusing on mapping the nautical charts around the globe! The Navigocorpus project is focusing on creating a Geographical Information System (GIS) Database from old archives. The CLIWOC project is focusing on extracting the meteorological information to a geographical database. Our subject focuses on old maritime maps, that’s why we investigate to gather some information about what has already been done and what are the actual projects in this domain. Firstly, we must differentiate the maritime maps. There are nautical charts containing all relevant information for sailing and the graphical historical representations on large paintings. To that, we can add all the old navigation and commercial journals (logbooks) which linked together can form virtual maps for all the maritime cruises. Maritime maps are not something very common in day-to-day life. There are few people that actually know how to use a map. This is because a maritime map is quite different from street navigation maps that everyone uses. Old maritime maps are even harder to read since maps weren’t as exact, some maps were even a bit different from the maps that we have today. 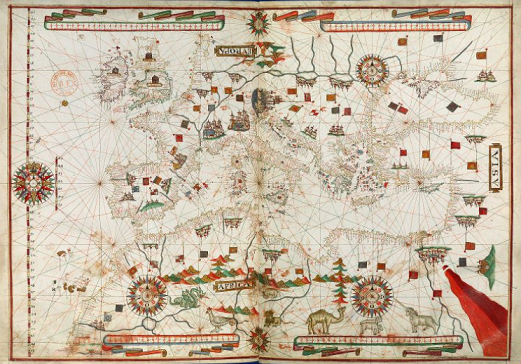 Below you can see an example of a maritime map of the Mediterranean see. The picture has been taken from the BNF Cartes Marines Exposition. More old maritime maps can be found on the same website. Figure 2 Europe issue de l’Atlas nautique du monde par Joan Martines, Messine, 1583. It is quite obvious to see that the above map is quite different from a street navigation map, so how can one read such a map? 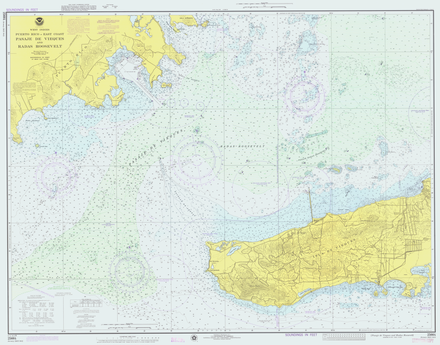 School of sailing, Powerboat or Maptech provide some guides to reading a nautical chart. Traditional maritime maps are made from paper and have a large format. Nowadays, you can also find maritime maps on electronic devices like computers, tablets, smartphones, but the information that they contain is basically the same. If you have a look at a nautical map you might be surprised that there are a lot of symbols and abbreviations that you do not understand. “A typical nautical chart contains a lot of information about the depth of the water, buoys, lights, dangerous areas, hazards, quality of the bottom for anchoring” (School of sailing, 2012, website). 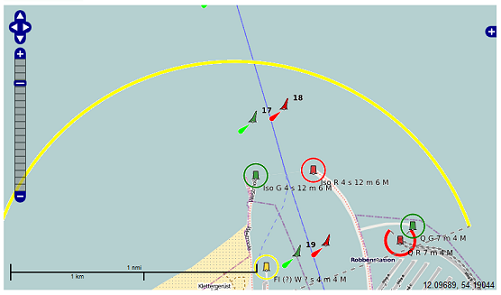 The map also contains information about “chart datum, the projection method, tides and currents, and who made the chart” (School of sailing, 2012, website) and, maybe the most important part, the traffic lanes. Once a boat gets near a harbor, it is quite common that the maritime map contains traffic lanes. These lanes are usually for very large ships which can help other sailors to find them when the weather conditions and the visibility are very bad. For a more detailed insight on how to read maritime maps, the links provided earlier are a good start. “A logbook was originally a book for recording readings from the chip log, and is used to determine the distance a ship traveled within a certain amount of time. 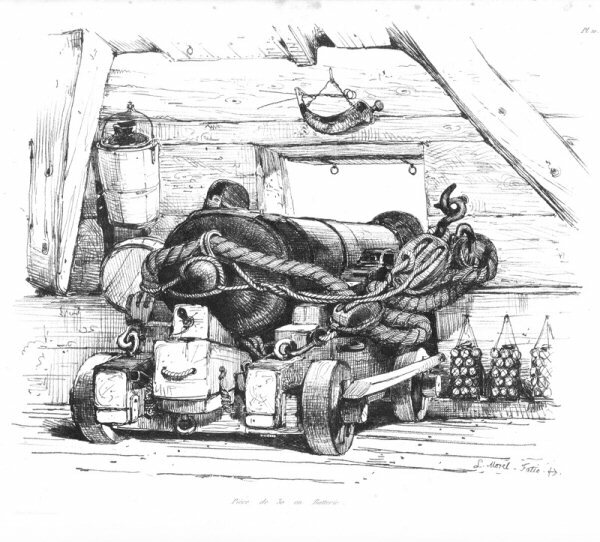 The readings of the log have been recorded in equal times to give the distance traveled with respect to a given start position.” (Wikipedia, Logbook, 2012) (website) These books were used to estimate the position of the ship and all specific information about the cruise were stored inside. This source of information was also gathered from the first cartographers to try to map representations of the coasts and of the world. There are also the logs from the commercial harbors which can be an amazing source of information because we find the name of the ships and the date of their arrival and departure. Gathering all these sources of data, this creates the possibility of mapping virtually the traffic of all ships. “The Mercator projection is a cylindrical map projection presented by the Flemish geographer and cartographer Gerardus Mercator in 1569. It became the standard map projection for nautical purposes because of its ability to represent lines of constant course, known as rhumb lines or loxodromes, as straight segments which conserve the angles with the meridians. While the linear scale is equal in all directions around any point, thus preserving the angles and the shapes of small objects (which makes the projection conformal), the Mercator projection distorts the size and shape of large objects, as the scale increases from the Equator to the poles, where it becomes infinite.” (Wikipedia, Mercator Projection, 2012) (website) This projection is an important discovery because all the maps that were designed before this projection system are not adapted to be fit on the globe for a visual representation. The deformations would be too large and too irregular to be fitted. The map won’t be well projected and will look ugly. An interesting project about maritime maps is Open Sea Map. “Open Sea Map is a worldwide open source project for creation of a free nautical database.” (Open Sea Map Wiki, 2012) (website) This project is a sub-project of the other well-known mapping project, Open Street Map. The Open Sea Map will display lighthouses, lateral buoys, cardinal marks and many other navigational aids. Ports are described in much more detail; the map contains all the facilities like port wall, pier, walkways, docks, fueling stations and so on. This map is based on the Open Street Map and is provided as an overlay to the standard navigation map. Below you can see a picture of how the map looks like. So how does one get from an old maritime map to a modern computer aided representation? 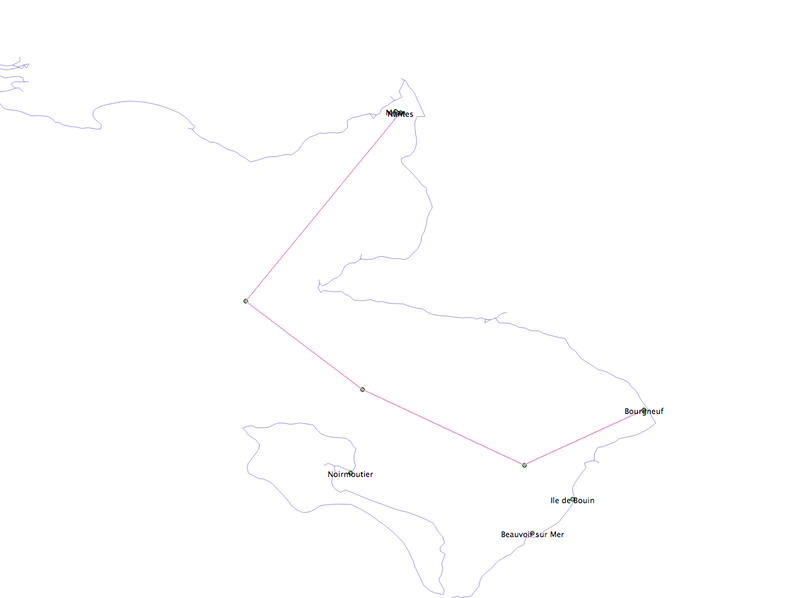 Just looking at an old maritime map and trying to convert it to a modern map is a very difficult and tedious job. It requires a lot of experts in history, Geographic Information Systems (GIS), cartographers and maybe others. Navigocorpus is a research project founded by the French National Research Agency. Some of the goals of this project are: creation of a fully searchable on-line database of European maritime shipping in the seventeenth to early nineteenth centuries, creation of a standard for data entry, editing and analysis of historical maritime shipping records. This project has appeared due to research in the following directions: collecting and editing existing databases on historical maritime shipping, a general structure for historical maritime shipping data, GIS database features for maritime maps and training on how to use Navigocorpus for future research. A more detailed description of the project can be found on the Navigocorpus website. The Navigocorpus database has a structure that was built from scratch; it is designed to accommodate historical maritime data. The main components of the database structure are Points, Cargoes, Taxes and Actions, which are all linked together by means of some unique identifiers. 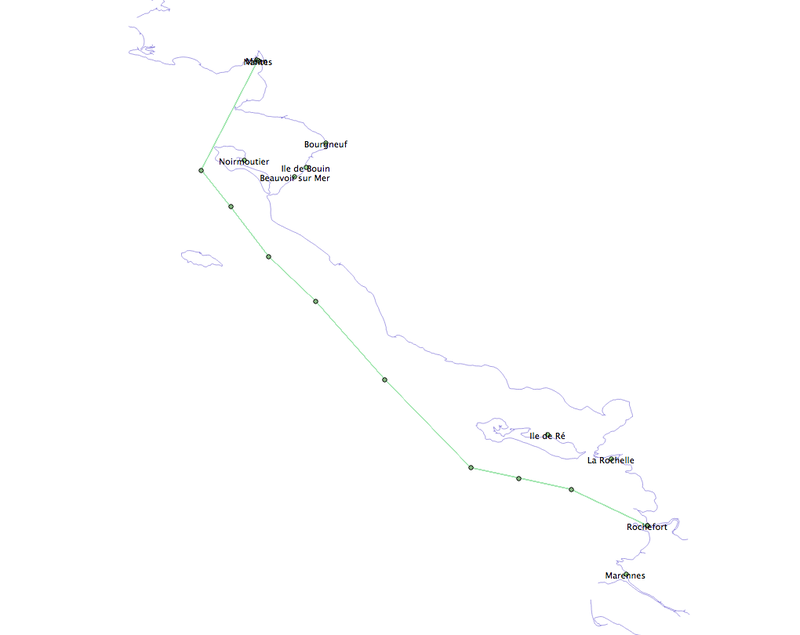 The idea is that a ship movement registration contains information about the route of a ship. 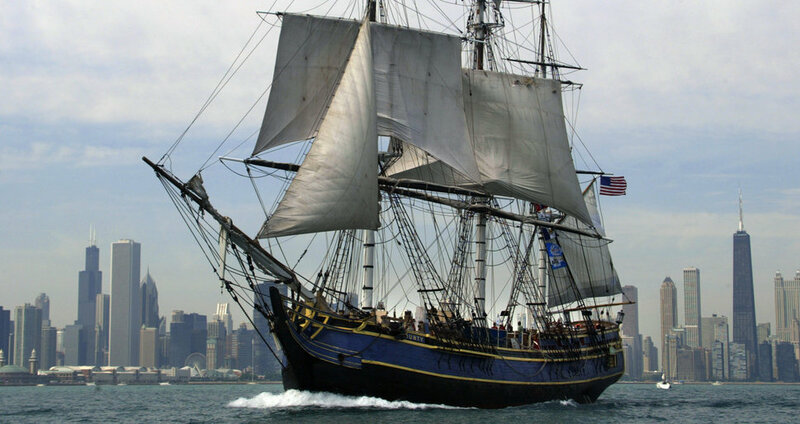 The ship movement is connected to a point of observation and if not specified otherwise the registration of the ship will be strongly connected to the point of observation. 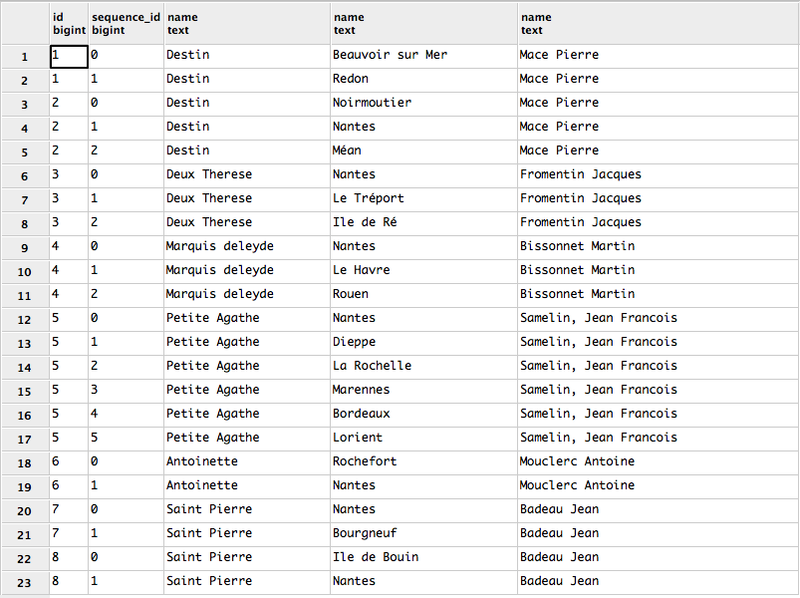 A very important element in the database is the uniform point definition fields, which are described in detail. The uniform point is used to describe a geographical location. As we have seen so far, translating old maritime maps to modern nautical charts require a lot of work and a good understanding of the map itself. Luckily, a few existing projects have already started doing research in this direction so one has a starting point from which future research can begin. 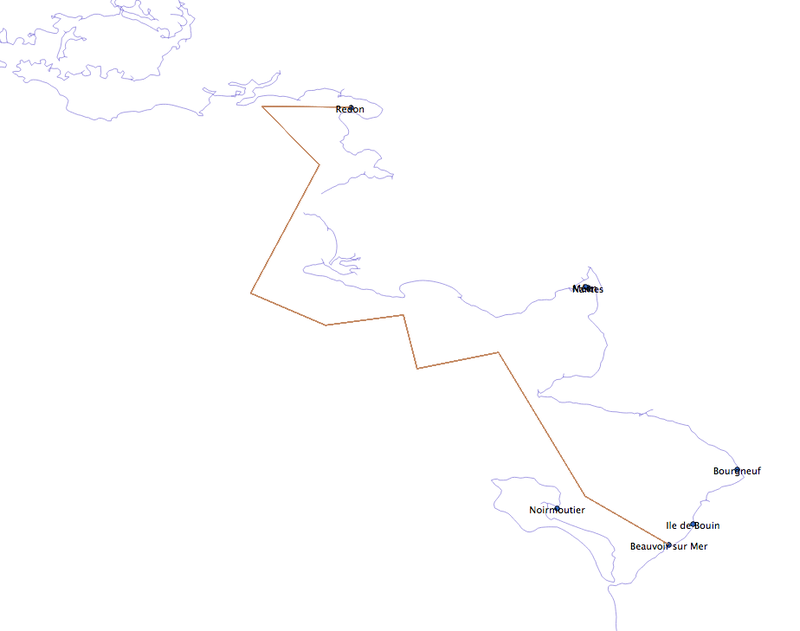 This blog has for purpose to show the progression and the steps on our dh101 Project 19 : Google maps for old maritime maps.